In Part 2 of our online reputation series, we give you the tools you need to take control of the conversions about your business. For Part 1, click here to learn how to use reviews to generate leads. 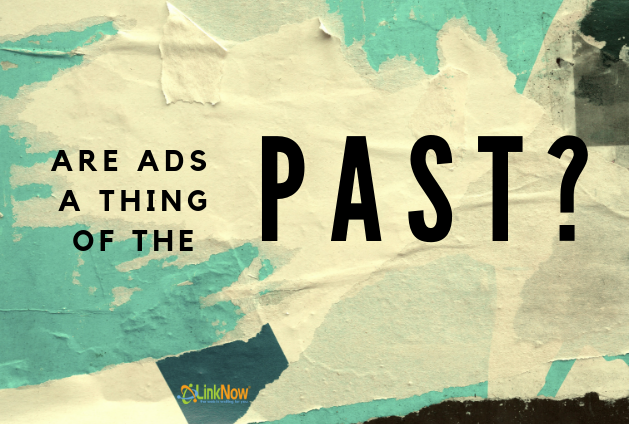 For Part 3, click here to find out why reviews convert better than ads. If you are new to the world of SEO and online marketing, you might think your company’s reputation is completely out of your hands. When so many people are just typing whatever they want into their computers, how are you supposed to stop them from writing a negative review about your business? How are you supposed to persuade them to write a good review? If there’s one thing to be learned from our line of work here at LinkNow, it’s up to you to manage your online reputation. It is determined by how you handle every situation—good or bad. Here are a few ways you can improve your company’s online reputation. You Received a Negative Review. Now What? Did you wake up to discover that a customer of yours has penned a negative review about your business? Maybe your team had a bad day and underperformed with the client. Maybe there was some misunderstanding. Maybe the client’s criticisms are unfounded and simply unfair. In these situations, you might feel attacked and scared for your business. Your gut response might be to respond heatedly and tell this customer just how wrong they are. I mean, they’re attacking your business after all. That business is your livelihood! 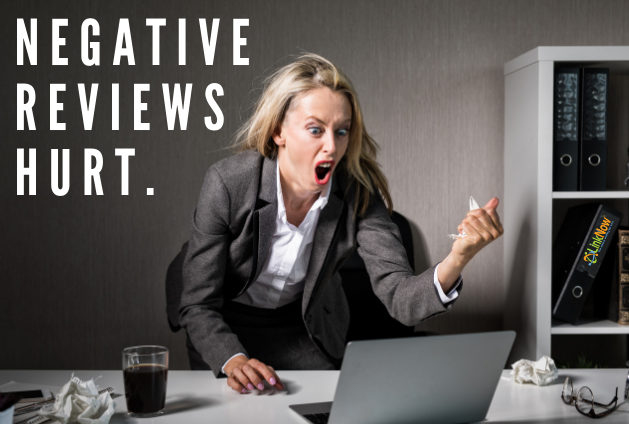 We’ll tell you the same thing we tell all our clients at LinkNow: Don’t respond negatively to a negative review! Don’t lose your cool. Doing so might lead to the online equivalent of a shouting match between you and a customer. Is that something you’d want people to see when they walk through your door? Probably not. Be positive and receptive to the dissatisfied client. 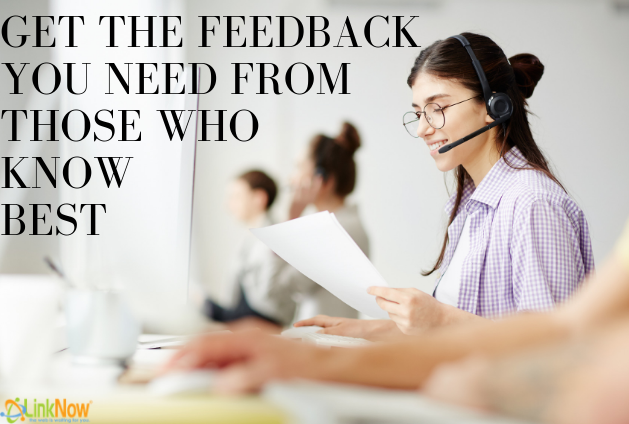 Let the customer know you hear their complaints, criticisms, and concerns. When customers air grievances, they might expect a lot of things in return. While you might not be able to turn back time, you can at least let them know they’ve been heard and acknowledged. Let them know that the problem will be addressed with your staff and will not happen again. Every business gets a negative review every now and then. If you handle it professionally and graciously, customers will chalk the issue up to a misunderstanding or isolated incident. Like we said, every business is bound to get one or two negative reviews. What helps is when there are many positive reviews on your Google My Business, Yelp, and Facebook pages to make those negative reviews seem less representative of your company. If your business has been operational since before the advent of social media, asking clients for online reviews might seem kind of strange. You might be worried that you’re being pushy. Don’t be! In the age of ‘Buy Local’, people love supporting local businesses. What better way for them to show their support than to post a glowing, thoughtful, and honest review of your business? Before you get customer reviews, you need an online presence. For some business owners, that is especially difficult. At LinkNow Media, we’ve helped over 10,000 small business owners spread the word about their services. Once we’ve established your online presence, you’ll have the customers you need to get those important reviews! 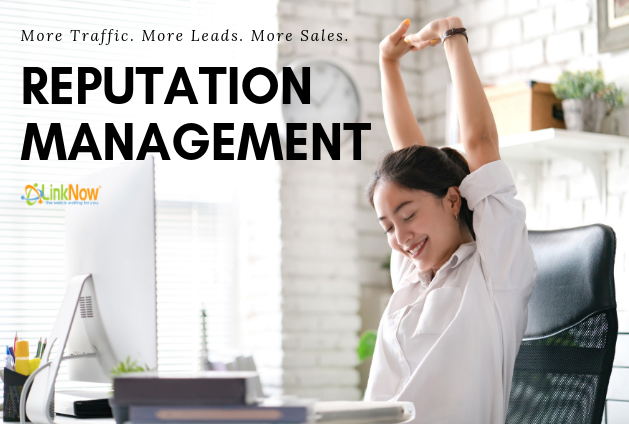 Click here to read Part 3 of our reputation management series! Throughout the past months, we’ve been writing a lot about the ways that review platforms like Yelp and Google control fake reviews. Google, for example, began systematically deleting anonymous reviews last spring in an effort to make it more difficult for black hat SEOs to do negative SEO attacks. Unfortunately, it didn’t quite solve the problem. Although Google users can no longer post anonymously, they can still create fake profiles and use them to target the competition. This is exactly what happened in early December, when small businesses across the U.S. and the world were suddenly bombarded with fake 4-star reviews. Read on if you want to learn how to protect yourself from the next attack. Although no one knows who was behind the fake review attack or what their endgame was, we do know a few things. It appears that around 37 fake profiles were used to leave over 3 million 4-star Google reviews. When you divide it up, the average profile left around 81 000 ratings—in a matter of days. The small business owners affected by the attack were left confused and worried about their rank on Google. After all, even though the reviews were all 4-star, many business owners speculated about whether they’d be punished for artificially inflating their rating. Luckily, the sheer scale of the attack was enough to set Google in motion straight away. Within 5 days they had taken all (or nearly all) of the fake reviews offline. But even though the ratings returned to normal those affected still don’t have the answers they need. After reviewing the affected businesses, it’s still unclear why they were targeted and not others. In many ways it appears to have been random. The only thing that connects all the victims together is that they were typically small businesses. Many people asked why 4-star reviews were used for the attack rather than 1 or 2-star reviews. Perhaps it was an attempt to veil the attack in the hopes that Google would punish many of those businesses for inflating their ratings. Although it’s pure speculation, there’s also the possibility that this was a kind of test operation—an attempt to work out a plan of action for another attack that would be subtler and on a larger scale. It’s hard to say exactly, but we’re happy it’s been taken care of. It could’ve also been an attempt show that Google reviews are not so legitimate as they’d like them to appear. Vulnerabilities like the ones the attack made visible, serve to disrupt Google’s own trustworthiness­­—and the irony isn’t lost on us! Why Is It Important To Understand Fake Reviews? At LinkNow Media, reviews and ratings form a large part of our reputation management strategy. From the point of view of conversion, we know that most clients will check Google reviews before making a purchase. The problem is not just related to conversion either. It’s also about trust. A lot of web traffic is the result of business listing website clicks. 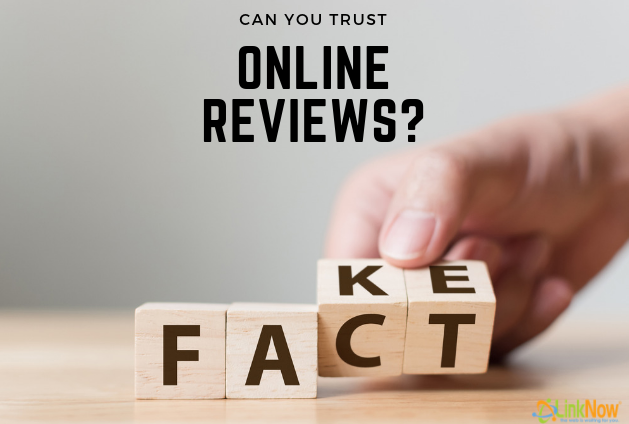 Business owners with untrustworthy reviews may experience sudden traffic drops simply due to clients opting for the competition. It’s worth keeping in mind that Google establishes rankings with the trustworthiness of your online presence in mind. If you have fake reviews on Google (and elsewhere), you could find yourself running into problems with your rankings. Keep track of who is reviewing your listings and what they are saying. Be vigilant. All the time. Every day. If you notice suspicious activity, report it to Google. Take a look through SEO blogs to see if anyone’s talking about an attack. If you’re not sure about it or would like some advice, call LinkNow Media to speak with one of our SEO experts! There are few industries in the world that have an easy time getting positive reviews from their clients. Getting positive reviews during the busiest time of year is no exception either. Negative reviews? Sure. Some customers will leave negative reviews for the most minor of offenses—or for no offense at all. Those reviews, however, are not the kind we’re talking about. We’re talking about honest, positive reviews. Thoughtful reviews, or just reviews that consist of the briefest of compliments. There are few companies that don’t struggle to get glowing (and unincentivized!) reviews. Even the companies who’ve never failed to provide with customers with complete satisfaction can’t seem to get a single 5-star review on their Yelp or Google listing! At LinkNow Media, we talk with a lot of business owners. Most of them, at first, have this very same dilemma. They do great work day-in, day-out, and every customer always leaves their shop with a satisfied smile on their face—but alas, their Google and Yelp review sections are blank. How do we help our clients get out of this slump? How can you get your clients to spread the good word about your high-quality customer service during the holiday season? Here are a few of the suggestions LinkNow Media provides to our clients. Ask Your Clients to Leave Reviews! That’s right. Just ask them! Despite how hectic holiday shopping and Boxing Day sales may be, people are still imbued with the Christmas spirit. It’s the season of giving! They’re eager to reciprocate warm feelings and generosity. Any time you have a positive experience with a client in person this holiday season, just ask them to leave a little review! You might be wondering, “Is it OK to ask for reviews?” For Google at least, the answer is 100%, “Yes!” Ask away! Yelp, on the other hand, has made it explicitly clear that no company should incentivize clients and customers to leave reviews. What does that mean? In short, it means that your customers should be leaving reviews because they genuinely want to spread the word about the business or help you out. The same rule should apply to any other review platform as well. You should want EVERY review to be genuine and sincere, after all. Asking in person might seem stressful or pushy, but it really isn’t. A good customer interaction should be professional, yes, but it should also be personable and good-natured. If you have a friendly rapport with your client, asking them for a review should not seem pushy. 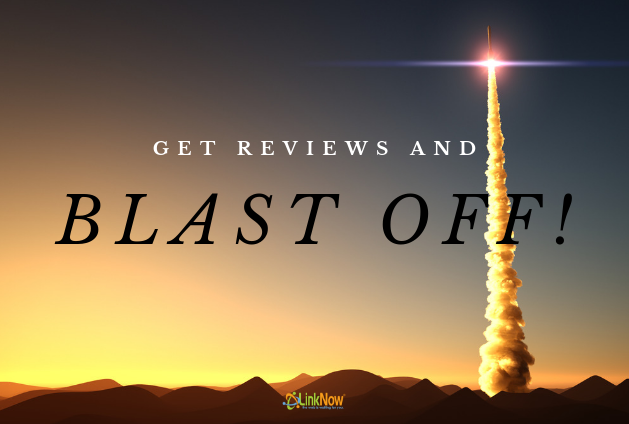 There is no better time than the end of a sale to ask your client to leave a review. They’ll have just been helped out by you, so they’ll be eager to help your business out and spread the good word. Now more than ever, people love supporting local businesses. Small business owners are a valued part of any community. If your clients see your business as a community-oriented company that is “local” in spirit and practice, they’ll be more inclined to leave you a positive review. Another great approach for gathering more online reviews is the “tip” approach. After you’ve had a great Holiday interaction with a client let them know that if they leave a positive review mentioning the name of the person that helped them, the company will give them a tip or “holiday bonus” for their great service. We’ve seen this method work time and time again. Many clients see it as a way of “giving back” to their service providers and local workers. And all that’s required of them is that they leave a genuine and honest review! There are other ways to accumulate positive online reviews, but they all require one thing: Quality customer interactions! If you’re not providing your client warm, friendly, and first-rate customer service this holiday season, they’ll be more inclined to give you a lump of goal over a good review. Being a consumer has never been easier—and more deceiving. Long before booking an appointment, hiring a tradesman, or ordering a meal, prospective buyers can gleefully browse through pages of listed companies offering exactly what they want. They’ll find much more than just the basics of the business— locations, rates, contact info. By way of the Internet, consumers can now scrutinize a company’s reputation in the form of online reviews. They’ve used the services, purchased the products, and have now gone to the trouble of reviewing their experience. But just how trustworthy are online review sites like Google and Yelp? As the name suggests, fake reviews are inaccurate, slanderous depictions of a business. Fake reviews usually come in two forms. Either, they are positive reviews designed to artificially inflate a business’s reputation for the better. Or, they are negative reviews left by black hat SEO companies, jealous competitors, or disgruntled employees aiming to ruin a business’ reputation. Fake reviews are misleading at best, and at worst, can ruin a business both on and offline. Do Review Websites Try to Fight Fake Reviews? Fortunately for businesses and consumers alike, review aggregators like Google and Yelp are several steps ahead of these dishonest keyboard warriors. These market giants are coming up with increasingly clever ways to detect and remove fake reviews. It is, after all, in their interest to show only trustworthy reviews. If consumers couldn’t trust the reviews, they simply wouldn’t use the site. If consumers are checking reviews to figure out whether a business is trustworthy, the review site itself better be trustworthy too! How Does Google Deal With Fake Reviews? In the spring of 2018, Google began systematically removing all anonymous reviews from Google My Business. The idea behind the move was that anonymous reviews were more likely to be untrustworthy. Of course, not all the anonymous reviews were fake—and there was a backlash because of it. But since reputation management is something we’re concerned with at LinkNow Media, we think this was definitely a move in the right direction. If you’d like to learn more about, you can read our article on it. If you are a business owner, Google is unlikely to remove a review unless there is clear evidence of spam patterns. The Google My Business forum is a resource for business owners who feel that a review has been inaccurate. It’s generally a long process and one that will require a significant amount of evidence, simply because no one likes negative reviews. If you can’t lay out clear evidence of being spammed by fake reviews, Google must assume that the reviews have been left by real customers. How Does Yelp Deal With Fake Reviews? 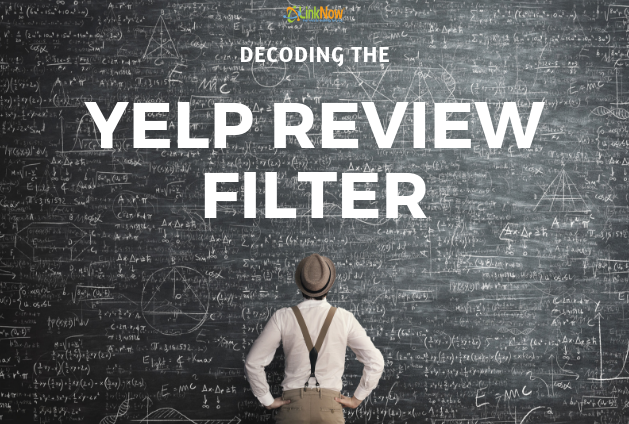 What sets the Yelp reviews apart from Google, is that Yelp has built an algorithm that’s designed to weed out untrustworthy reviews before they are displayed on a listing. The algorithm decides whether a review should be recommended or not recommended. If it is recommended, it ends up as part of the total rating that’s visible on every business’ Yelp profile. If it is deemed untrustworthy, the review will end up in the ‘Not currently recommended’ section of the business listing. These reviews are still visible to the public, but you have to scroll to the bottom of the page and follow a series of links that lead to them. They are hidden. When did the reviewer sign up for Yelp? How active is the reviewer? What kinds of reviews have they left? Notice that most of these are related to activity on Yelp. Yelp is a social media platform and they generate profit by having active users. This is why, as a business owner, Yelp can be challenging to work with. If your clients are not active Yelp users, their reviews may not appear in the recommended section. At LinkNow Media, we’re very familiar with this side of Yelp. Being a B2B online digital marketing agency, the LinkNow Media reviews are particularly susceptible to having our client’s reviews end up in the ‘Not currently recommended’ section. If you want to see over a hundred hidden 5-star LinkNow reviews, take a look at our Yelp profile! All things considered, Yelp is making every attempt at limiting fake reviews. And this is something that’s needed to protect business’ online reputation and give consumers the information they need to make good purchasing decisions. Yelp also enforces consequences when they find that businesses have left fake reviews on their own or their competitor’s profiles. Yelp issues ranking penalties and monitors listings for more fake reviews in the future. They can even go so far as to remove the listing altogether. Yelp also has what they call a “don’t ask” policy aimed. This policy is designed to punish businesses that offer discounts or other incentives in exchange for positive client reviews. For Yelp, it doesn’t matter whether the client has or has not had a real experience with the business. If clients are not willingly choosing to leave the review, the review can’t be trusted. Regardless of Google and Yelp’s activities, business owners can take control of fake reviews. The best way to go about this is through professional, well-mannered replies outlining the inaccuracy of these reviews. No business wants a bad review. Discerning between negative but truthful and an inaccurate review is no easy task, for humans or algorithms— especially given the emotionally-laden tone of many reviews. As an SEO company specializing in managing online reputations and reviews, LinkNow Media is constantly following Google and Yelp’s review policies. 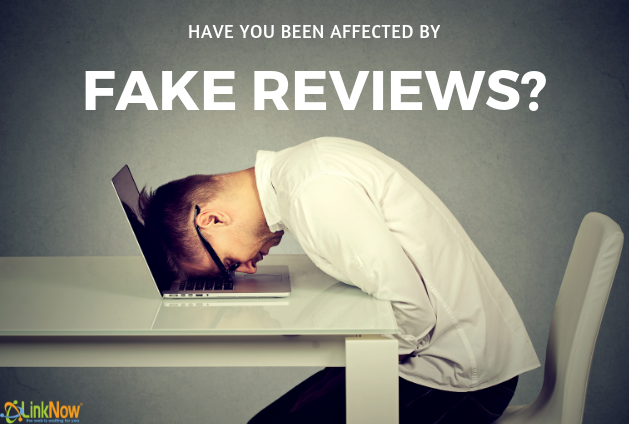 So, if you have any questions regarding fake reviews on your business listing, feel free to give us a call. 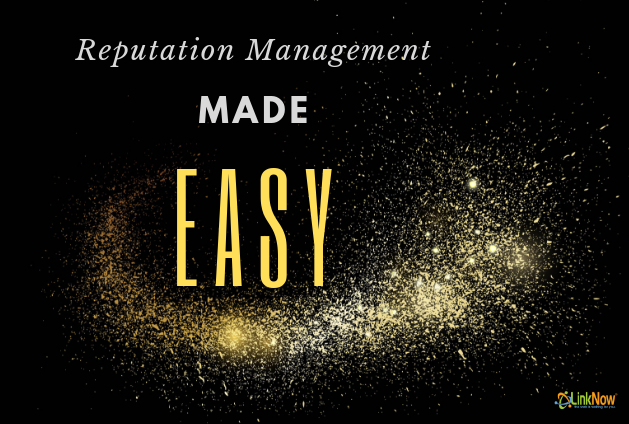 Our reputation management experts in the SEO department will be happy to answer any of your questions!